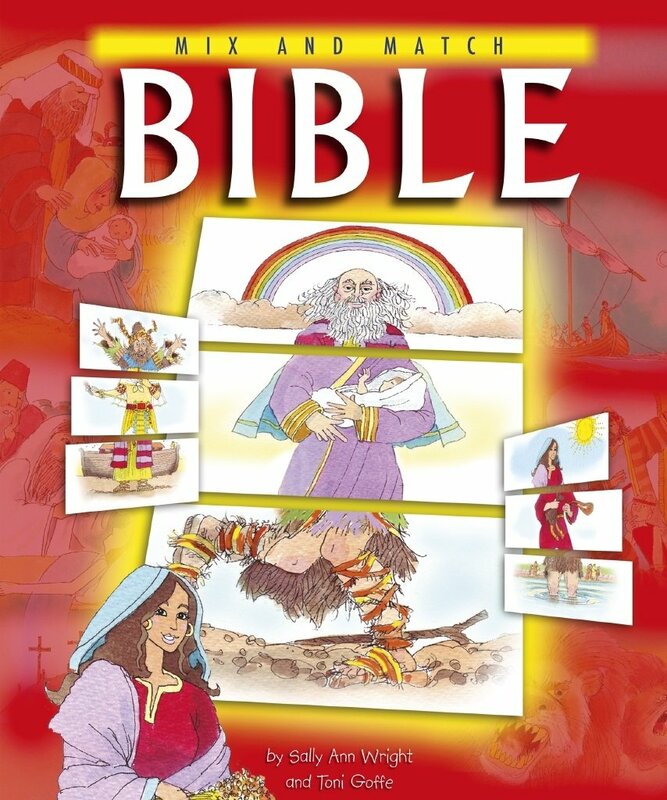 This spiral-bound book contains 15 Bible stories about major Bible characters with their pages divided into three parts and mixed up for fun and engaging interaction by children. Children will have hours of enjoyment learning Bible facts as they use the illustrated clues to find the correct matches for each character's picture. Stories include: Noah, Abraham, Joseph, Moses, David, Solomon, Daniel, Mary, John the Baptist, the Roman centurion, Bartimaeus, Peter, Zacchaeus, Mary Magdalene and Paul.